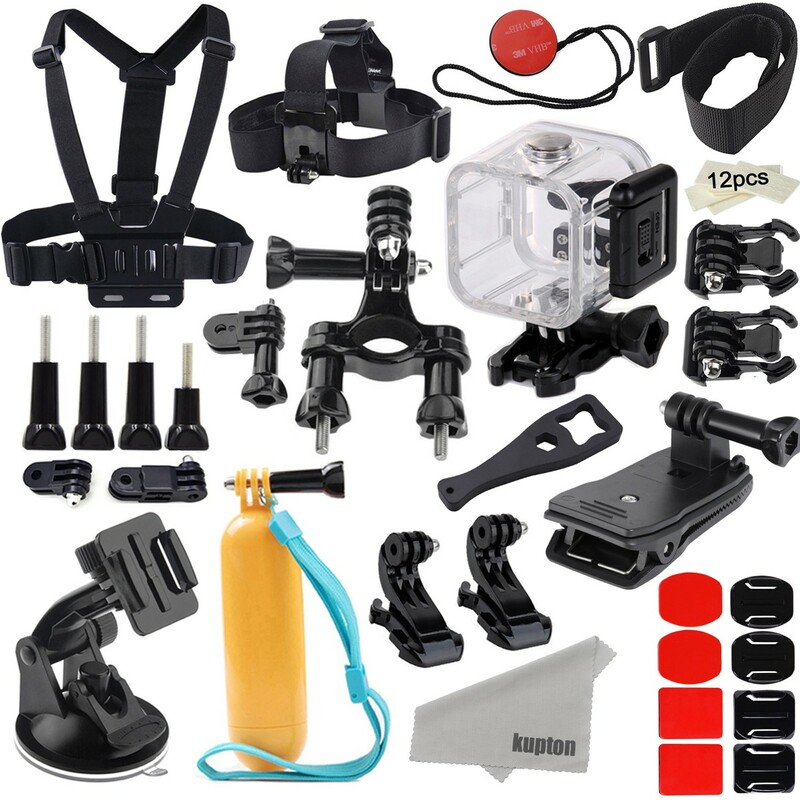 This ultimate combo accessories kit fits you when you are doing outdoor sports, like parachuting, swimming, rowing, surfing, skiing, climbing, running, bike riding, camping, diving outing and any other outdoor sports. Head strap mount makes it easy to capture immersive video and photo footage from your head; can be used on head or helmet, not recommended for high-impact activities. Handlebar seat post pole mount securely attaches camera housing to handlebar, seat post, fork, boom, roll bar, etc; comes with pivoting orientation arms to allow for 3-way adjustability, ensuring you to get the angle you want. Note: Accessories only, cameras in pictures not included.